Dentistry has come a long way in the past couple of decades. There is much more to the dental field then hygienic cleanings and fillings these days. Healthy, white smiles instill confidence and make people feel great about themselves. That’s why we are always expanding our offerings at Sarasota Dentistry, and why Dr. Hank and his staff place special importance on ongoing educational programs dealing specifically with cosmetic dentistry. It has always been our goal to be the premier cosmetic dentist in Sarasota. Helping people feel better about themselves is one of the great powers of dentistry. When patients arrive at our office, dissatisfied with their smiles (for any reason) it is our opportunity to make a positive impact on their lives. Whether you’d like your smile brightened with professional teeth whitening, you need to replace missing or injured teeth, or you need to straighten a crooked smile, we can help. Dr. Hank and the Sarasota Dentistry team are dedicated to helping you find and share your best and brightest smile. 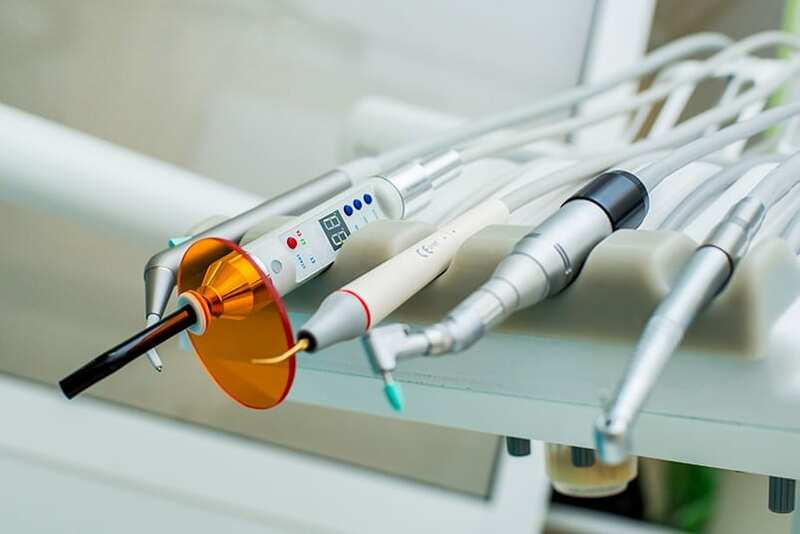 If you have been wondering how to improve your smile and restore your confidence, Sarasota Dentistry has cosmetic dentistry options for you. Porcelain veneers are extremely thin casings of ceramic that are bonded to the front of the patient's tooth to create a new smile. This thin porcelain veneer doesn't stain and is designed specifically for each patient's unique smile. Veneers are placed over the front of teeth that appear too small or large, are slightly discolored, are not cosmetically pleasing to the patient, or even when teeth are chipped or cracked. For the majority of patients suffering from these issues, porcelain veneers are the ideal solutions. Dr. Hank is well-versed in using and placing porcelain veneers - in fact, he's considered one of the premier cosmetic dentists in Sarasota, and has been working with veneers since 2001. But you don't have to take our word for it, he has an enormous portfolio of before and after cases as well as numerous patient references available upon request. The traditional procedure begins with a diagnostic wax-up of the desired tooth shape and size - like a blue print for the mouth. Once the design is approved, the teeth are prepared. This entails removing the discolored or unsightly portion of the tooth and meticulously shaping the tooth in preparation for your new veneer. Care is taken to preserve as much natural tooth as possible while still achieving the best results. Once we have shaped the tooth, we will take an impression. This impression will be sent to our lab where your new restoration will be crafted. While the new veneers are created, we will provide you with a temporary restoration. Our temporary restorations will resemble your natural teeth so that you can continue with your daily life without worrying about a missing or incompatible tooth. A new, unique option being utilized by Dr. Michael is same day dental veneers utilizing the Cerec CAD/CAM technology. A diagnostic wax-up is still needed prior to the Cerec veneer procedure. While Cerec is an option, it's not for everyone. Dr. Michael will go over all of the options and their advantages during your treatment consultation. Porcelain fillings can be referred to as inlays or onlays depending on which part of the tooth is being restored. Inlays are generally performed when there is no damage to the cusps of the tooth and the porcelain can be placed into the center, or inner, aspects of the tooth structure. Onlays are performed when there is more significant damage to the tooth, requiring porcelain to cover and/or replace a larger portion of tooth structure including the cusp or "pointy" aspect of the tooth. Why choose a porcelain filling? Porcelain fillings are a stronger and more reliable type of filling than a bonding procedure or amalgam filling. Our porcelain fillings are fabricated right here in our Sarasota dental office by our highly trained techs using Cerec CAD/CAM technology in one visit with no impressions. These fillings are made from the exact same porcelain as a porcelain crown. These fillings are designed to cover a portion of your tooth rather than covering the entire tooth, so there is a little less material involved. A porcelain inlay or onlay is bonded into/onto the tooth having already been contoured perfectly in the dental lab, whereas a bonded filling is free-formed directly in the mouth. There are limitations to the accuracy that can be achieved with bonding vs. porcelain fillings, but in some situations the filling is the perfect solution. Instant Orthodontics is the process of aligning teeth using porcelain crowns, veneers, bridges, dental implants, bonding or teeth-colored fillings to achieve straight teeth in as little as just one dental visit. Traditional orthodontics or Invisalign usually requires 6-18 months to align the teeth and these techniques don't allow you to have control over the shape and color of the tooth. Instant orthodontics gives you the ability to change the color and the shape of the tooth as well as that perfect tooth alignment alignment you have always wanted. Dr. Hank Michael has been performing these services for his dental patients in Sarasota since 2001.